Just like any other worthwhile change, meal planning takes some time and energy in order to succeed. Don’t settle for boring or redundant meals. And, don’t settle for drive-thru burgers and pizza delivery. Meal planning allows you to personalize your nutritional intake and explore new foods. Have fun with meal planning and enjoy food with these simple steps. 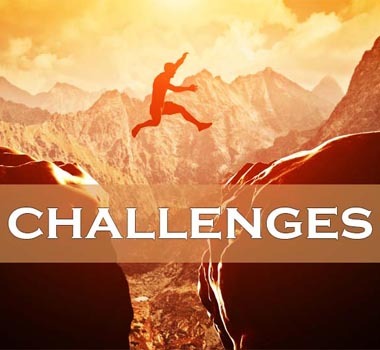 What is your biggest challenge? Grocery shopping? Lack of culinary knowledge? Time for cooking on busy evenings? When you can pin point the struggle, you can tackle the problem head on. If your challenge is cooking time on weeknights, your strategy can be weekend meal prep. If you struggle with kitchen skills, pick simple tried-and-true recipes to start. 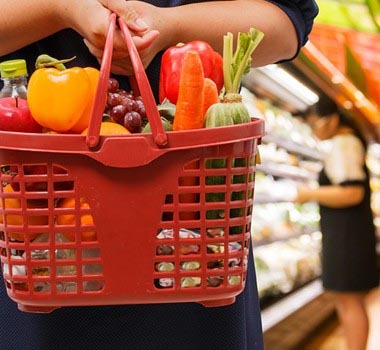 If you despise grocery shopping, investigate the home delivery options available at several supermarket chains. Now that you have determined your challenge, you can move forward with that in mind. Similar to step one, but different in that you need to identify and describe your personal nutrition or eating goals. Do you want to lose weight? Do you need to tighten up the carbohydrate control of your meals? Do you want your family to eat more non-starchy vegetables? Now you can move forward with meal planning with your main goal in mind. 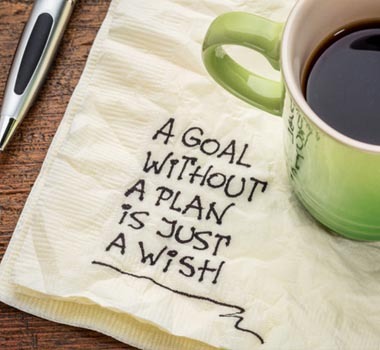 Your goals might shift from week to week, as well. Perhaps one week your goal is to try a new vegetable, and the following week your goal involves cooking one large protein and using it in 3 different meals. The options are endless! The beauty of planning out one entire week at a time is viewing the variety. You can make chicken one night, salad main dish another night, build-your-own-tacos the third night, and breakfast for dinner the fourth night. Variety will keep your family and your taste buds engaged. Some people like to plan two weeks or a month at a time, just to insure they don’t repeat meals too often. Planning a longer time period also helps you use up ingredients in your pantry or freezer in a timely manner. Get the family involved! Maybe your child wants to try an Asian dish they recently enjoyed at a restaurant. Perhaps you have been wanting to try cooking spaghetti squash. This is a great opportunity for exploring new recipes, skills and ingredients. Where can you find new recipes? With the internet, the options are endless. Popular recipe websites include Yummly, All Recipes, and Cooking Light. Many sites will include nutritional information, which helps with your diabetes control. 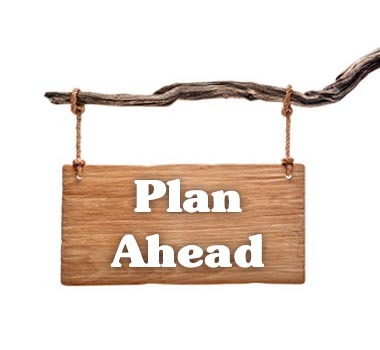 When you finish the weekly plan, take a step back and evaluate. Is there a good variety of dishes? Is there a good mix of simple and familiar recipes with new and more complicated recipes? Will you use ingredients more than once? How about cost of ingredients – are there too many high price items? If you find that adjustments are needed, simply start the next week’s meal plan and shift meals around. Now that you have the meal plan ready, it’s time to organize the ingredients you will need. Make one trip to the store for the week, instead of multiple trips. 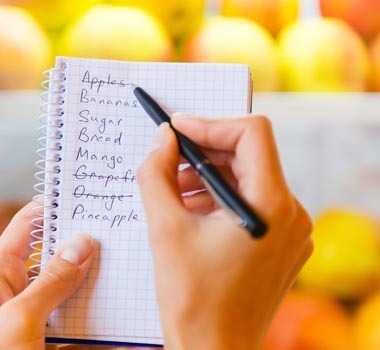 Divide your shopping list up by area of your market – Canned and Dry Goods, Fresh Produce, Dairy and Refrigerated Foods, Meat/Poultry/Seafood, and Frozen Foods. Be specific about how much of an item you need to purchase. For example, “2 pounds of boneless, skinless chicken breasts,” instead of just “chicken.” Or, “two 15-ounce cans of pinto beans,” rather than “pinto beans.” This will not only save money, but reduce food waste in the end. While making your shopping list, double check your pantry items, freezer foods and refrigerator stock to see what you already have on hand. No need to buy what you already have available at home. Unpack your groceries in the reverse order. Make sure you stock the frozen foods in your freezer, and all dairy and meat in the refrigerator as soon as you get home. Keeping foods at the correct temperature will reduce risk of foodborne illnesses. Remember, if you absolutely despise grocery shopping, there are local and chain supermarkets that offer home delivery. You can enroll online, enter your needed grocery items, and the store will choose the foods and deliver them to your door. What could be easier? Sticking to your meal plan for the week keeps your eating healthy, keeps your wallet happy, and keeps your stress level lower all week long! Get the family involved in the food prep on weekends and cooking during the evenings. Teach your children these valuable life skills to help them grow into healthy adults. Research studies show that family dinner time reduces incidence of overweight, obesity and many other unhealthy lifestyle behaviors. Meal planning services are available to purchase. Let someone else choose the recipes and prepare the shopping lists. You simply need to shop and cook. Meal box delivery companies are gaining in numbers and popularity. Your dinner ingredients can be delivered directly to your door with recipes included. Meal prep companies that allow you to prepare the meals at their storefront with their ingredients for a fee. You go home with ready-to-cook meals to stock in your freezer. Truly, there is something for every person out there. 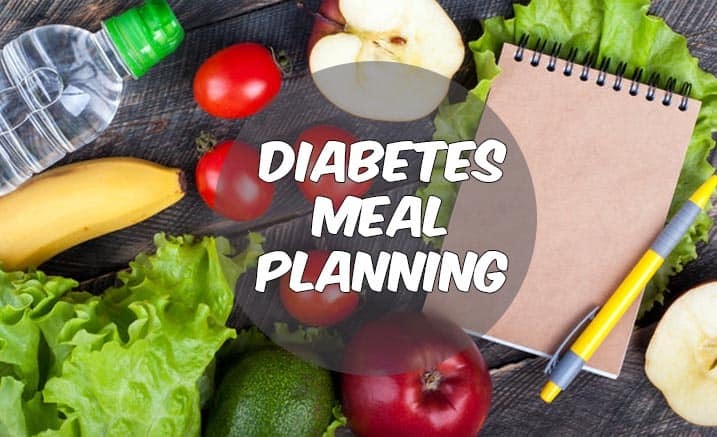 Take charge and overcome the challenges of eating healthy to keep your diabetes well controlled! Dr. Bowers earned a Bachelor of Science in Nutritional Sciences from the University of Arizona, and then completed a Dietetic Internship at the Houston Veterans Affairs Medical Center to earn the credentials, “Registered Dietitian.” Concurrently, she completed a Master of Science degree in Nutrition from Texas Womans University. I live alone (apart from my dogs) and never plan meals in advance unless I’m going to have visitors. So often just have a sandwich for my main meal (and other meals). A lazy bad habit. And 34 units of Dec at bedtime 6 units of him at lunch and 7 for sipper. Can you help me Please.